Specialty products to complete your job. Wet sanding a primer? Need to sand a small, hard-to-reach area? Got an unprimed bumper to scuff? No problem. USC ABRASIVES has got you covered. 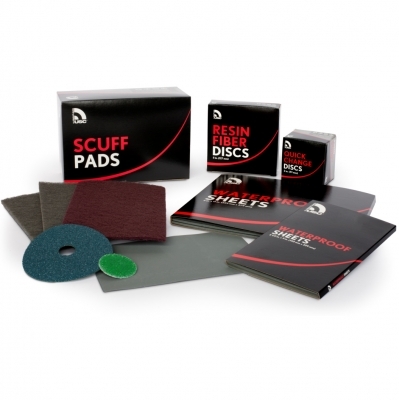 Our complete line of premium Abrasive Accessories has been extensively tested to ensure superior performance and results. - Wet/Dry Sheets: 5-1/2" x 9" and 9" x 11"